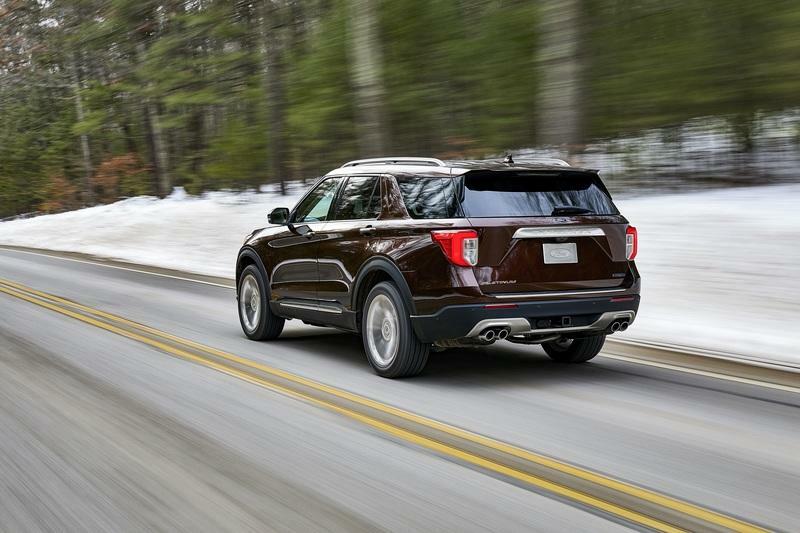 The 2020 Ford Explorer is one of the most recognizable nameplates in the SUV segment, and arguably one of the first models to establish the segment outright. These days, the Explorer is getting close to 30 years old, but it’s still one of the best-selling SUVs out there. Now Ford is offering a fresh sixth-generation for the 2020 model year, introducing a more diverse model lineup, additional muscle under the hood, a more capacious interior, and the very latest technology bits as well. 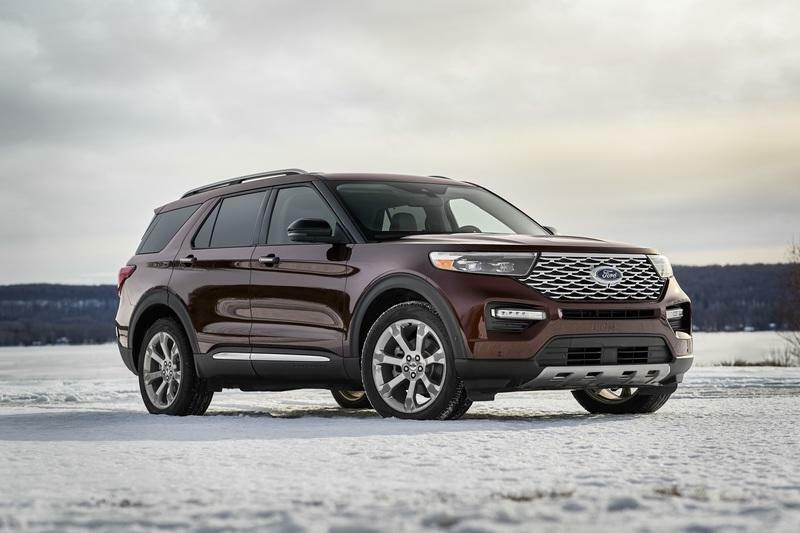 While Ford did work to bring a new look to the 2020 Explorer, the overall aesthetic is easily recognizable for fans of the nameplate. 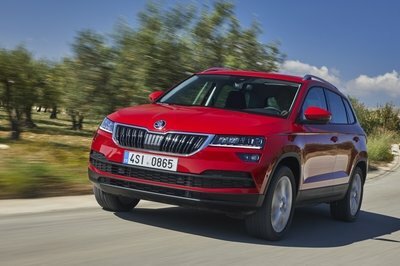 True to form, the new model once again includes blacked-out A-pillars and D-pillars, while the C-pillars are body colored, giving it that traditional window line seen across the previous models. However, there are sill a few differences to parse out, with a sportier appearance overall. The fascia gets slimmer headlight housings, and the grille is more geometric in its shape. The lower front bumper looks a bit more pinched as well, while the front overhang is 5.4 inches shorter (33.7 inches versus 39.1 inches). Moving to the profile, the 2020 Explorer’s roofline looks to slope a bit more compared to the straighter line on the previous model. The window line looks sharper. 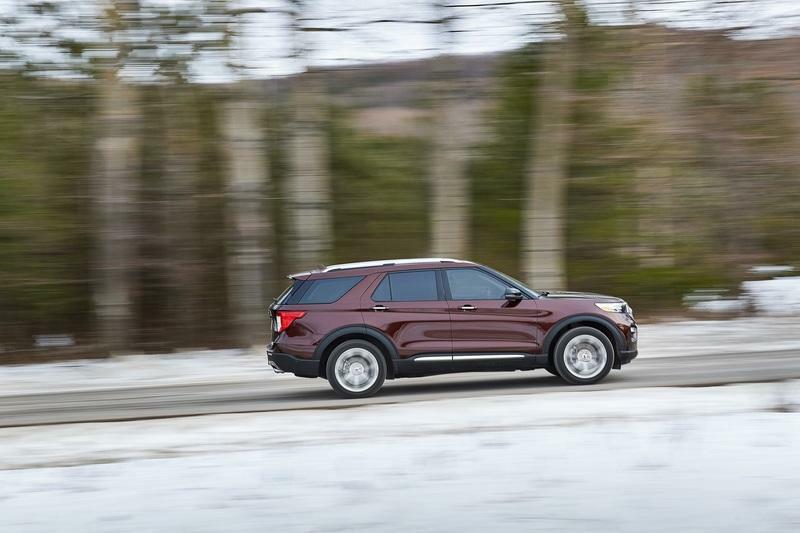 In the corners, the 2020 Ford Explorer comes standard with painted aluminum alloy wheels sized at 18 inches in diameter. Customers get seven wheel designs to choose from, while premium 21-inch aluminum wheels are offered on the range-topping Platinum model. The rear end was spruced up as well, and now comes with a shorter chrome strip across the hatch. The lower fascia rocks round exhaust tips as well, with quad tips offered elsewhere in the line. However, the taillight housings look similar in shape to the older model as well. 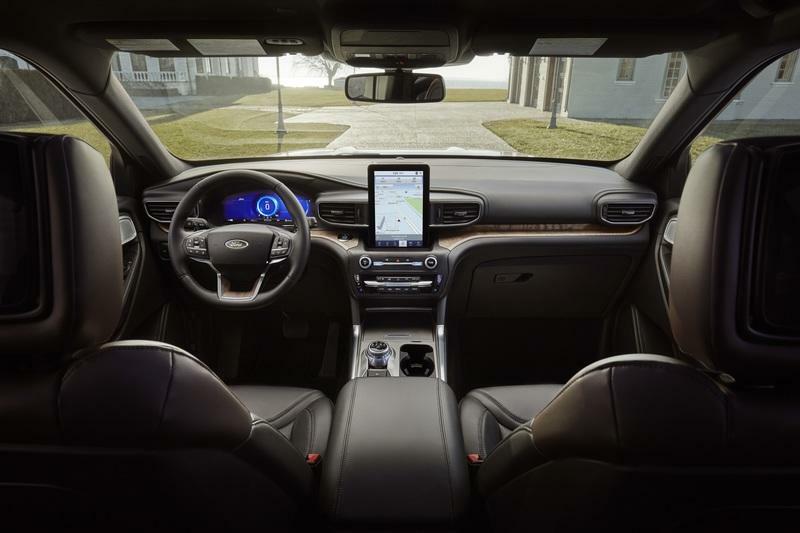 Step inside the new 2020 Ford Explorer, and things are definitely looking cleaner and nicer. The layout is all-new and looks dominated by a huge 10.1-inch touchscreen attached to the center console. Complementing the high-end feel is an Active Noise Cancellation system, while the front seats get five different massage settings. That said, Ford definitely built this thing to accommodate families. 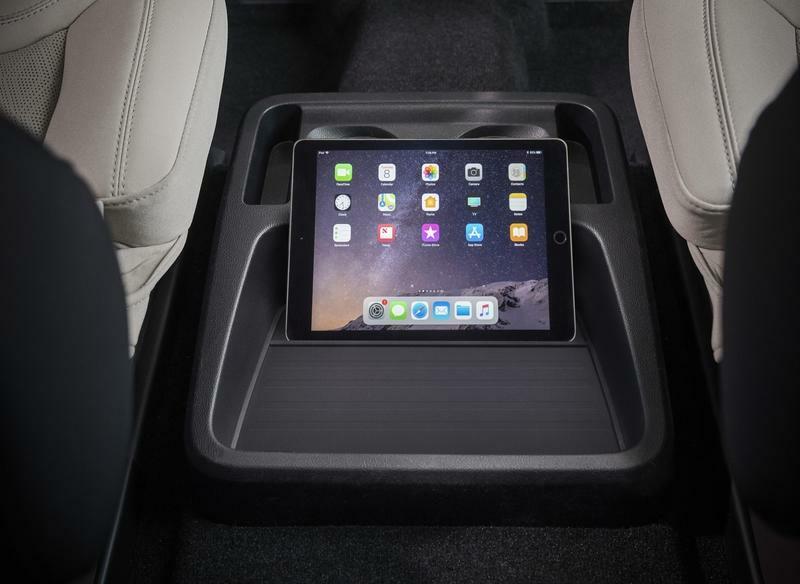 For example, the cupholders can double as juice box holders, while the sliding second row seats make for easier access to the third row. In fact, the second-row seat can even be moved by a child thanks to its electric slider. 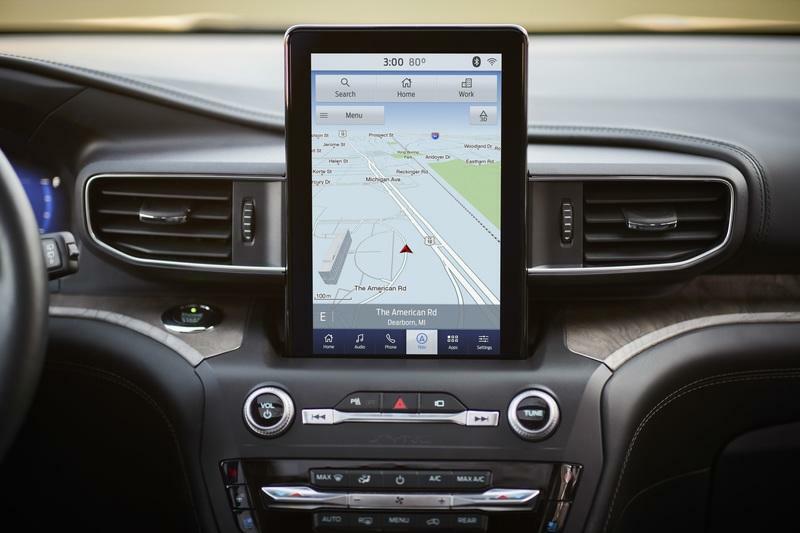 Standard spec includes an 8.0-inch touchscreen with Sync 3 and FordPass Connect. It should be noted that the previous model offered an 8.0-inch screen as an available upgrade. There’s also standard Wi-Fi that can connect up to ten devices. The onboard infotainment also provides remote access to the car with automatic lock/unlock, vehicle locator, vehicle remote start, and access to the vehicle diagnostics. Further upgrades include a 12.3-inch digital gauge cluster that changes its background appearance based on the selected drive mode, and it comes with 3D graphics. You also get Amazon Alexa support, Apple CarPlay and Android Auto support, as well as Waze navigation. SiriusXM support is standard. Audiophiles will want to get the 980-watt B&O audio system 14 speakers. In terms of stowage space, the 2020 Explorer offers upwards of 123 cubic liters inside the cabin. There’s a small ledge in the middle row for holding a tablet, and something called an “Apple Catcher” to keep the groceries in line. Fold all the seats down and you’ll get upwards of 87.8 cubic feet, while a standard power lift gate makes it easier to load in and out. 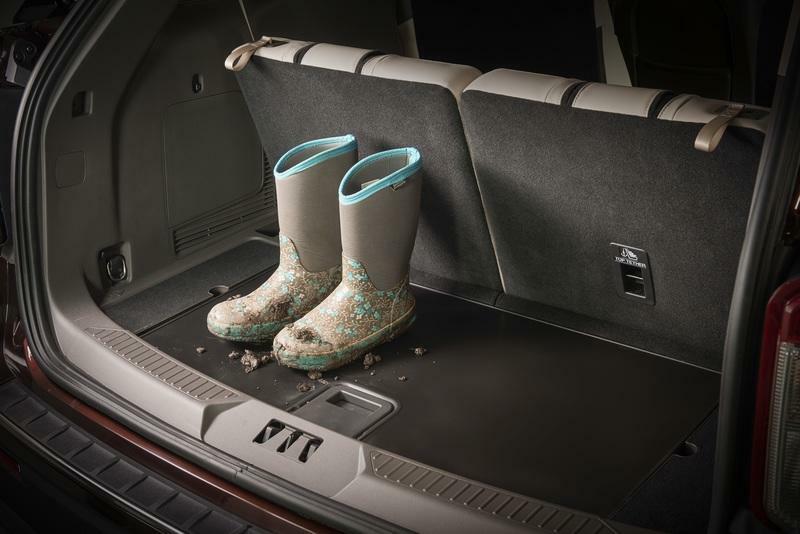 On the tech front, the Explorer gets a variety of driver assist features via the Ford Co-Pilot360 system. Chief among these is Active Park Assist 2.0, which does the steering, braking, and accelerating, self-parks with the touch of a button, and comes as standard on the range-topping Platinum trim. There’s also a Blind Spot Monitor that expands its field of view depending on whether or not you’re towing. Intelligent Adaptive Cruise Control is in the mix as well. Meanwhile, Lane Keep Assist moves the car to one side of the lane if a large vehicle is detected nearby, and there’s Automatic Emergency Braking with Pedestrian Detection. Speed Sign Recognition also automatically adjusts its speeds with the cruise control. Optional tech includes Evasive Steering Assist and Post-Impact Braking. Finally, the Platinum model comes with a standard twin-panel moonroof, leather seating, leather-wrapped steering wheel, dash, and armrests. Total passenger volume 152.7 cu. ft. 146.8 cu. ft. Cargo volume behind first row 87.8 cu. ft. 87.8 cu. ft. Cargo volume behind second row 47.9 cu. ft. 47.9 cu. ft. Cargo volume behind third row 18.2 cu. ft. 18.2 cu. 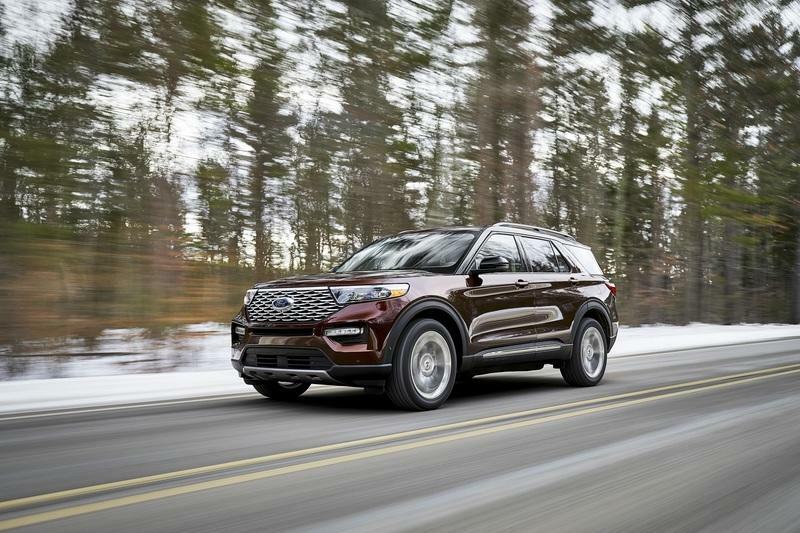 ft.
Take a peek under the hood, and the 2020 Ford Explorer comes to the party rocking an updated 2.3-liter EcoBoost engine as the standard-spec engine on the base model, the XLT, and the Limited. This time around it produces 300 horsepower and 310 pound-feet of torque, which is an increase of 20 horsepower. Torque levels are static. Higher in the range, there’s a turbocharged 3.0-liter EcoBoost V-6, which comes as standard equipment on the Platinum model. Output for the ‘six comes to 365 horsepower and 380 pound-feet of torque on premium 93-octane fuel, making for the most-powerful Explorer ever built. 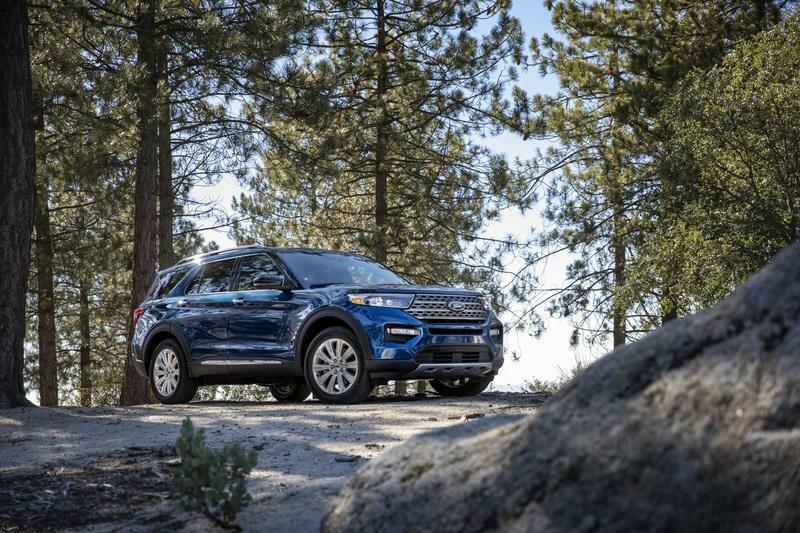 When it comes to the drivetrain, the 2020 Ford Explorer comes standard with RWD, which is a major upgrade over the previous model’s standard FWD platform. 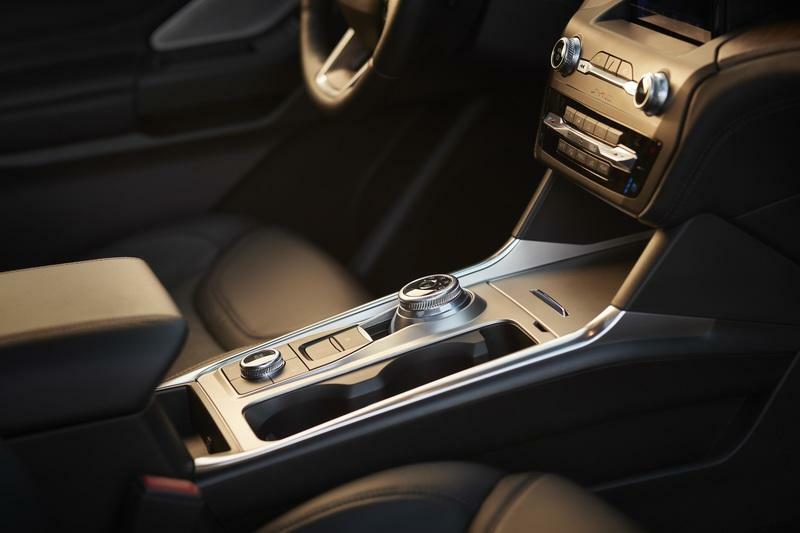 A new 10-speed transmission with rotary shifter comes standard as well. Per usual, the Explorer also comes with an optional 4WD drivetrain. Ford also says it’s dropping an electrified model, which will carry over to all of Ford’s utility models in the future. We should get more info on the hybrid Explorer next week when it drops in Detroit. 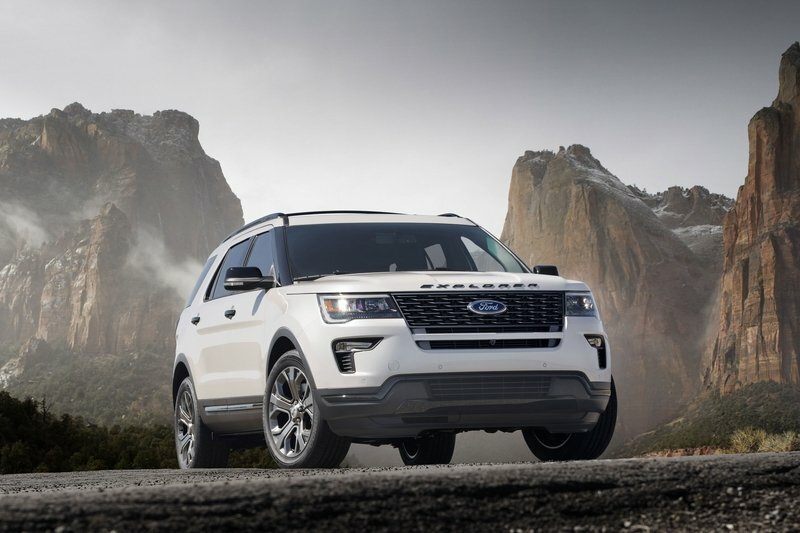 Under the skin, the 2020 Explorer’s platform is part of Ford’s five new platforms, making to move to a RWD-centric architecture that helps with styling, off-road agility, towing capacity, and overall interior volume. The Explorer can now tow up to 5,600 pounds when equipped with the larger 3.0-liter engine, which is 600 pounds compared to the previous Explorer model. Meanwhile, the 2.3-liter with the Class III Trailer Tow Package can tow upwards of 5,300 pounds, which is a massive 2,300 pounds more than the 3,000-pound capacity of a similarly equipped model from today. What’s more the Explorer offers improved departure and approach angles, and extra off-road chops thanks to a terrain management system with seven different modes (normal, sport, trail, slippery, tow/haul, and eco). Explorers with 4WD also get a deep snow and a sand mode. 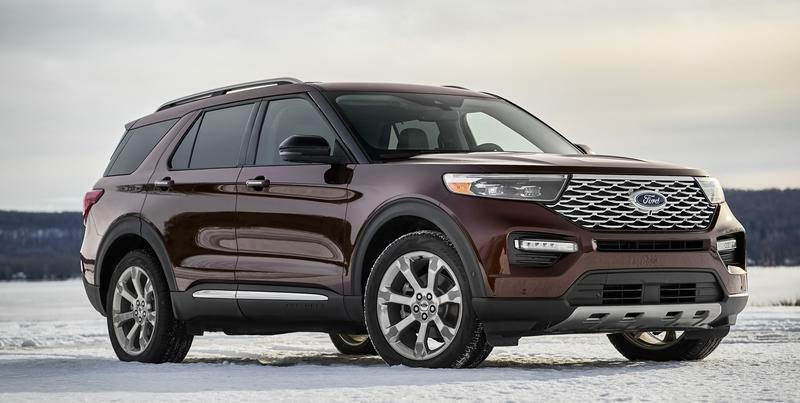 Finally, the 2020 Ford Explorer has a base curb weight of 4,345 pounds and 3,727 for the Platinum Edition. Displacement 140 cu. in. 183.1 cu. in. Torque 310 lb.-ft. 380 lb.-ft. 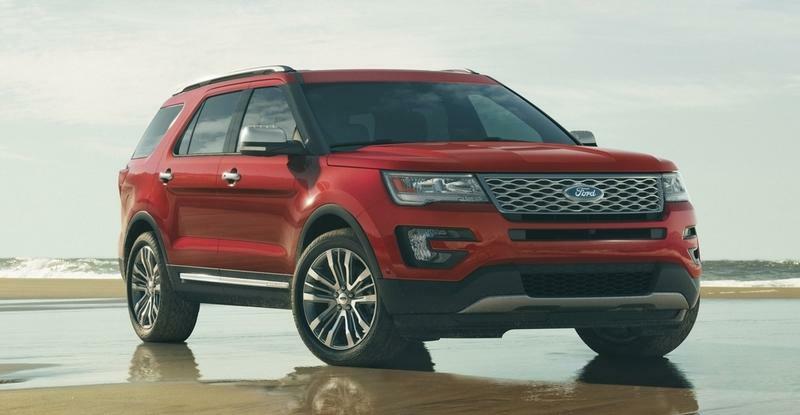 The 2020 Ford Explorer lineup includes the base model, followed by the XLT, Limited, Limited Hybrid, ST (offered as a replacement for the Sport), and the Platinum. If you’re looking to step it up, the Platinum model includes unique door handles, satin aluminum insert, a unique liftgate applique, a lower cladding insert, roof rack side rails, unique grille, and satin aluminum finish. There’s also a twin-panel moonroof up top. 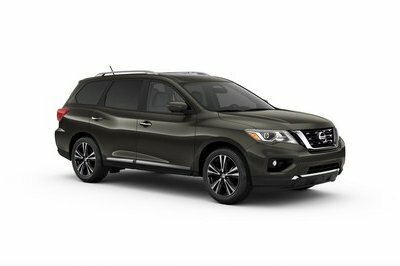 The base price went up $400 with this latest update, which makes for an MSRP of $32,765 for the entry-level model. The 2020 Ford Explorer hit showrooms in Summer of 2019. If you’re in the mood for a little extra fun with your family hauler, then the CX-9 is a safe bet. It looks fantastic, rocking the latest kodo design language with slim headlights, a crest-shaped front intake, and a sporty silhouette. Inside, the CX-9 offers a premium cabin layout, which now offers both Android Auto and Apple CarPlay for smartphone support. Motivation is provided by a 2.5-liter four-cylinder producing 227 horsepower. A six-speed automatic transmission routes the muscle. 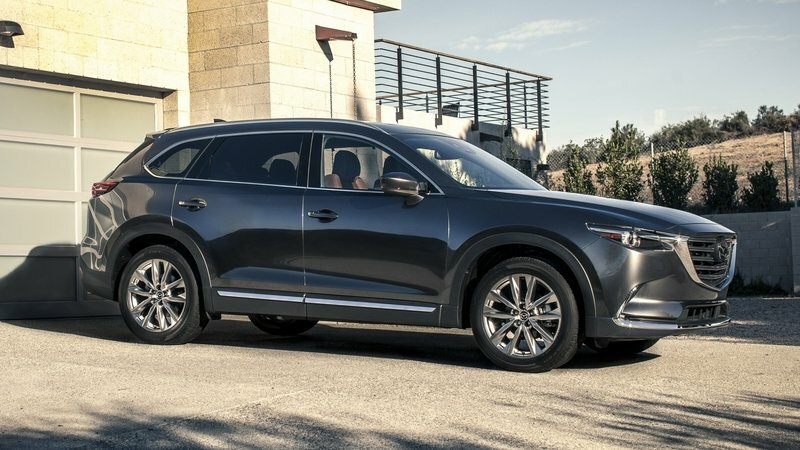 As icing on the cake, Mazda’s legendary suspension tuning makes the CX-9 a surprisingly agile SUV as well. Pricing starts at $32,280. 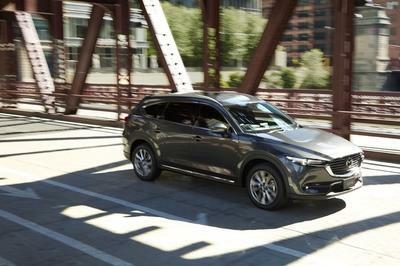 Read our full review of the Mazda CX-9 here. 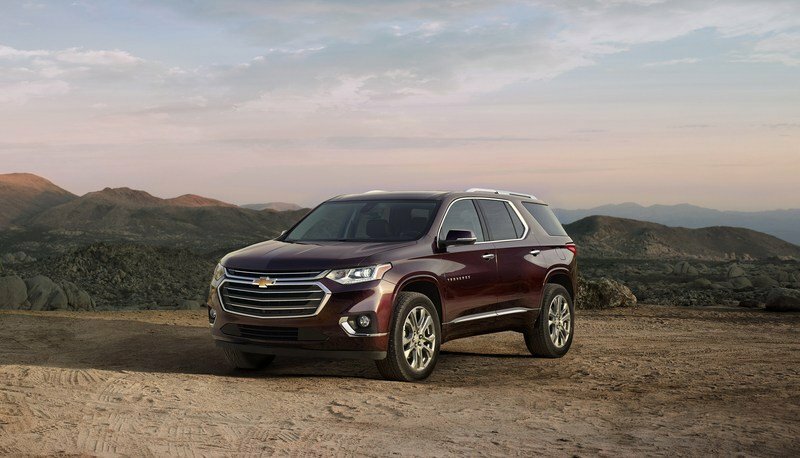 When it comes to GM’s offering in this space, you’ll be checking out the Traverse. First produced in 2008, the second-generation dropped in 2018, and now offers seating for up to eight passengers with a 2+3+3 configuration. There’s also a seven-seater configuration with dual captain’s chairs for the second row. 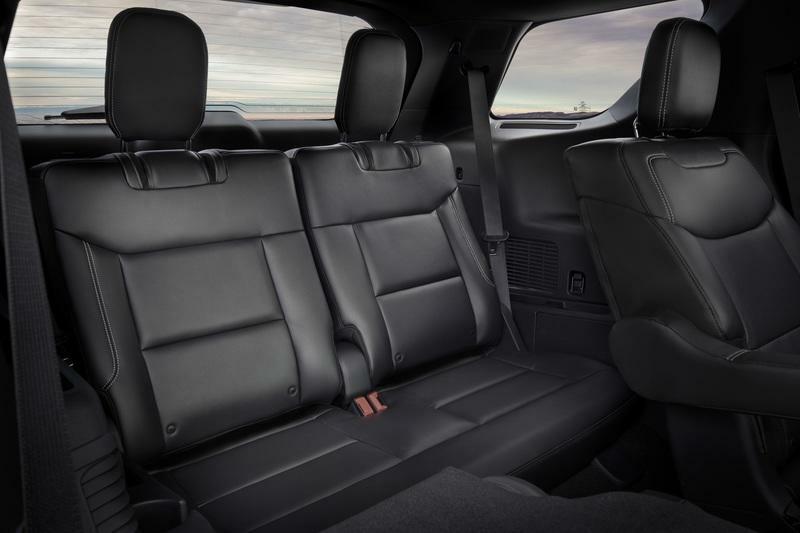 With seats laid down, the Traverse can swallow upwards of 98.5 cubic feet of cargo. It definitely looks the part of a big, bold SUV as well. 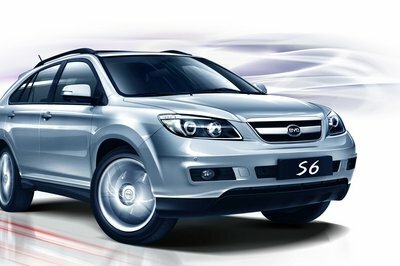 Under the hood, the Traverse arrives to the party with either a 2.0-liter four-cylinder or a 3.6-liter V-6. Pricing starts at $29,930. Read our full review of the Chevrolet Traverse here. We’ll get more info on the 2020 Ford Explorer next week at the 2019 NAIAS, but for now, things are looking good. 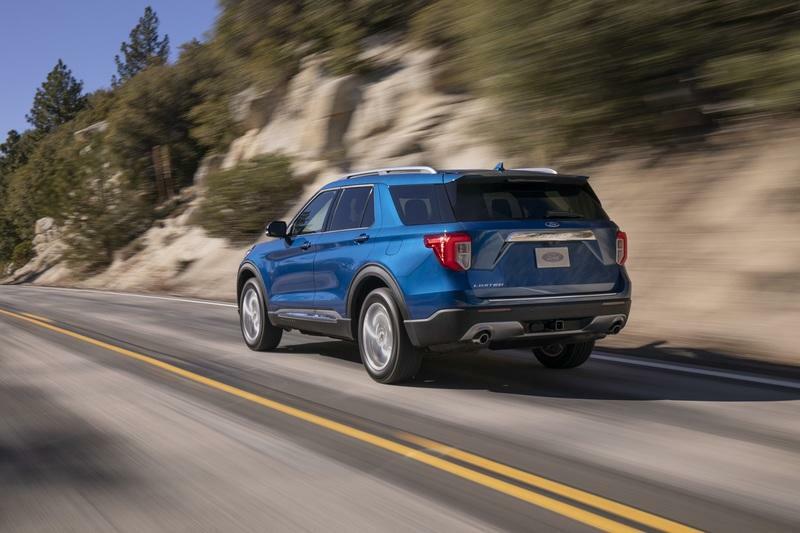 And that’s important, because these days, a new, highly desirable 2020 Explorer is more important than ever for Ford, especially now that the domestic brand has pretty much ditched most of its sedan lineup. That said, now is pretty much an ideal time for this model to arrive, as buyers are still scooping up SUVs and crossovers at an astonishing rate. With more luxury, a bold new looks, fresh underpinnings, and a new engine lineup, not to mention the latest tech that Ford can muster, odds are this one is gonna be a winner. 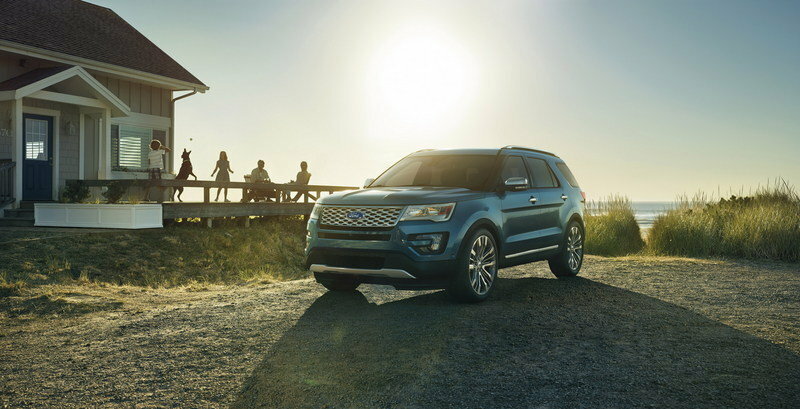 Read our full review on the 2016 Ford Explorer. Read our full review on the 2018 Ford Explorer Sport.